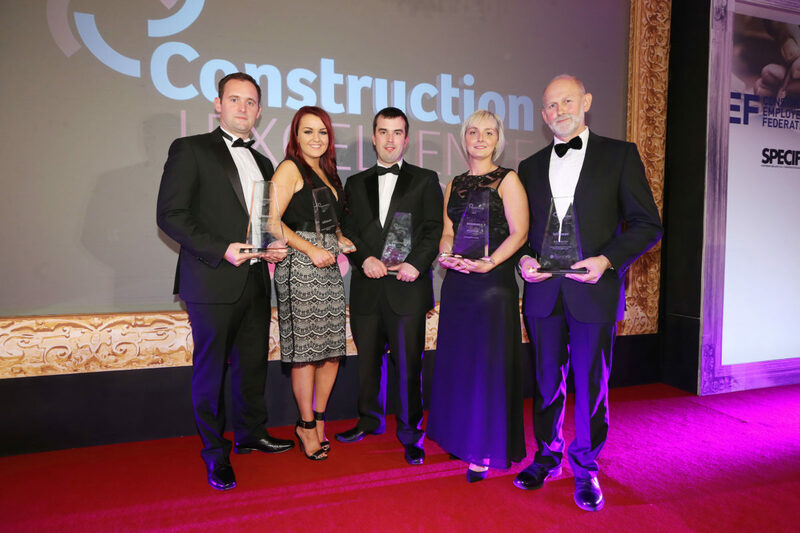 Lagan Specialist Contracting Group swept the board at this year’s Construction Excellence Awards (CEF Awards) winning a total of five awards including a bonus award ‘Achieving Excellence in Partnering’ which recognises the importance of collaborative working in the construction industry. The award winning projects include the A8 Belfast to Larne which won the Transport Infrastructure Award, Gravity II, winning in the Utilities Infrastructure category, H&J Martin’s restoration of Mount Stewart in the Restoration Category and HR’s efforts were recognised winning overall in the Training category. The bonus award ‘Achieving Excellence in Partnering’ was awarded to H&J Martin’s Restoration of Mount Stewart, for best approach to partnering in the delivery of the project. The ‘Achieving Excellence in Partnering’ award is shared by the client, design team and the construction team. The awards ran by the Construction Employers Federation were held at the Culloden Hotel, Belfast on Thursday 8 October 2015. Congratulations and a very well done to the winning teams!